The fly arcs through the air, landing on the surface of the crystalline river with a ripple. It launches again as the fisherman, waist-deep in the cold water, flicks his wrist. Trout swim warily a few feet below the surface—spotted lunkers, what the fisherman calls “real Chamber of Commerce fish.” They’re easy to spot from the surface, as if they’re under a massive pane of glass. It’s hard to imagine that just a decade ago, the river was a foot deep, choked with silt and too warm to sustain healthy trout. 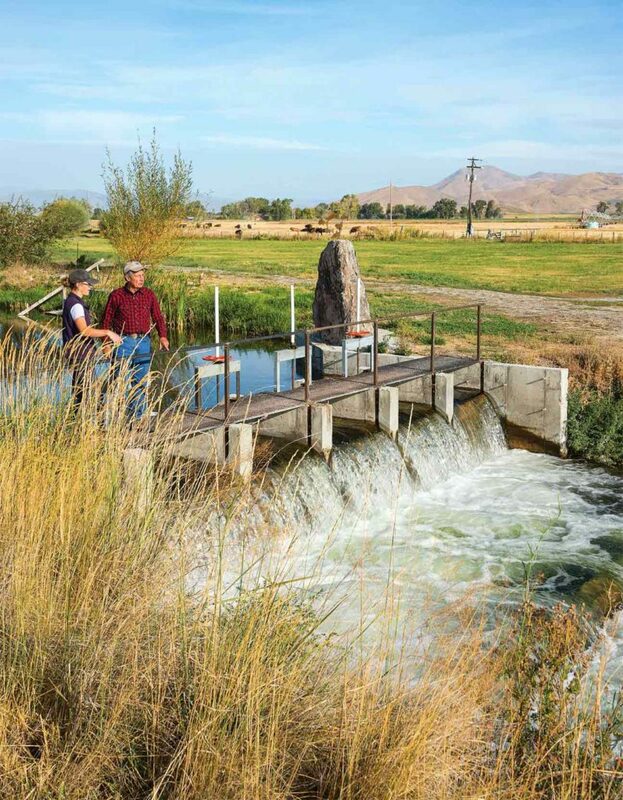 It flowed from a pond built in the 1880s to divert irrigation water from Silver Creek and generate power for the nearby town of Picabo, Idaho. The pond had backed up with silt until it was a broad sheet just a few inches deep. The water heated up 10 degrees in the summer and spilled over an old dam, stifling the cold-spring-fed ecosystem that sustains one of America’s top trout fisheries. Still avoiding the feather fly and its barbless hook, the trout swam just yards away from the site of an old feedlot for dairy heifers. Nick Purdy’s family bought the feedlot in 1968, building on the sprawling farm operation his forbears established 140 years ago along Silver Creek. Today, Purdy’s operation extends 20 miles up and down the valley, covering 4,000 owned acres of cropland and range and another 10,000 rented acres, plus leases from the Bureau of Land Management (BLM) to graze 700 head of cattle. Great potential. Nick Purdy saw the potential fishing promised to the family’s farm, even back in the days of trampled feedlot and muddy water. He approached his stepmother, an owner and bookkeeper for the ranch. Dayna Gross and rancher Nick Purdy check his innovative dam, which feeds cold water into Silver Creek. In Idaho, the public can access navigable waterways—any creek deep enough to float a six-inch log, Purdy explains—from the channel. Purdy started selling access from the bank, inviting members of his club to come onto the farm to fish or just enjoy the scenery. When Purdy announced that he was going to restore the fishery, members of the club formed the Silver Creek Alliance, a non-profit that helped fund the work along with assistance from The Nature Conservancy and a substantial investment from the Purdys. Purdy realized that restoring Purdy Pond and Silver Creek would add value to his fishing franchise—turning it back into a world-class sporting site—and help his farm. In 1999, with permits in hand from county, state, and federal agencies, Purdy deepened the creek, narrowed its course and reinforced its banks with vegetation. In 2014, he carried out the next stage, dredging the pond bottom and piling the silt up to create islands. “The islands gave the fishermen more places to fish and more privacy, and it gave us a place to put the silt,” Purdy points out. Nick Purdy farms, and improves, the land his family settled in the 1880s. An ingenious dam design was key to reducing water temperatures downstream. Water flowed over the top of the old dam, delivering the pond’s warmest water to Silver Creek, Purdy explains. The new dam features 50-foot-long pipes that draw cold water from the bottom of the deepened pond and shunt it into the creek. Just enough water—about 10 percent of the flow—goes over the top to let fish jump over the weir into the pond. A decade ago, water leaving the pond was 10 degrees warmer than the stream. Today, it’s 3 to 4 degrees cooler—a 13-degree drop. Better farming. The Purdys protect their restored waterways by minimizing the runoff of silt. They took riparian areas—the acres bordering the stream—out of production and vegetated them to trap runaway silt. Fallow ground is covered with stubble to minimize erosion and allow equipment onto firmer, well-structured soils earlier in the spring. And Nick’s son Pat now no-tills the family’s barley, wheat, and mustard seed crops. Moving a Long Creek diversion closer to their fields and outfitting their irrigation pivots with drop nozzles, the Purdys have reduced their annual water use by 4 to 5 acre-feet. Removing another diversion saved about 15 percent of the flow in Silver Creek. Just above Purdy Pond is a stretch of creek that is the flagship project of The Nature Conservancy in Idaho—Silver Creek Preserve. Upstream improvements. In 1976, with the help of Jack Hemingway—son of Ketchum outdoorsman and world-famous author Ernest Hemingway—the Conservancy began acquiring property along the creek. The first parcel had been slated for development into ranch estates for rich outdoor enthusiasts. 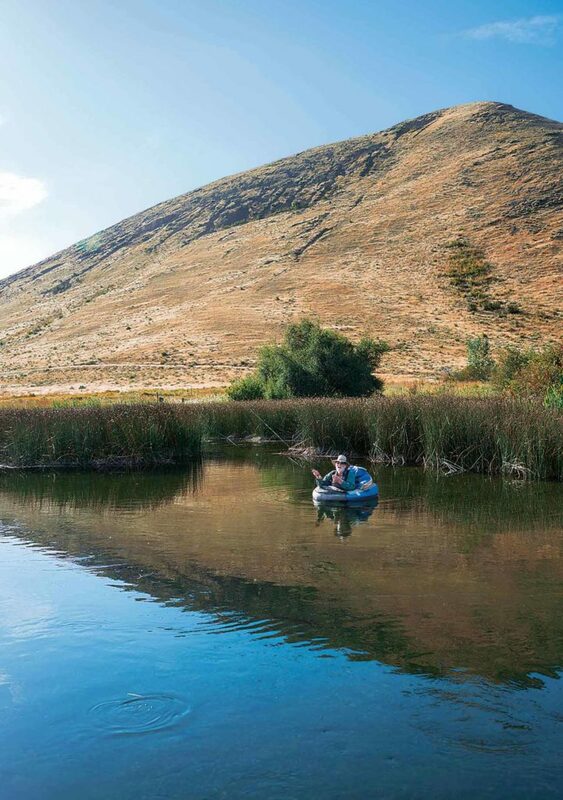 A fisherman angles for trout on Bud Purdy’s ranch, where Silver Creek is once again a world-class fishing spot. Over time, the Conservancy has purchased about 900 acres of creek, springs, riparian area, and woodlands and 110 acres of unirrigated farmland. The project has been at the cutting edge of river and riparian restoration, and former preserve manager Dayna Gross says 10,000 to 12,000 people fish there annually. Gross points out that the key to the success of the Silver Creek Preserve is not just saving the Conservancy’s property from development, but surrounding it with conservation easements on adjacent properties. More than 10,000 acres around the preserve are now bound to remain in farming or range forever. 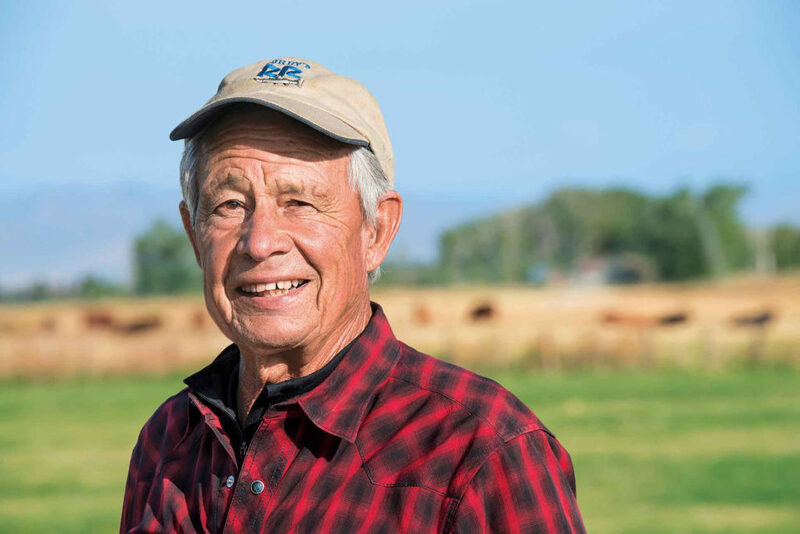 A few miles away, Gross worked with Nature Conservancy board members Harry and Shirley Hagey to restore 4,600 overgrazed acres near Bellevue that the couple purchased and dubbed Heart Rock Ranch. Streambanks on the property had been stomped down by cattle and creeks downcut below their natural beds, disconnecting the streams from the floodplain and dropping the water table. Following a plan developed by stream restoration expert Dave Rosgen, the restoration project yielded 7 to 8 miles of streams that they reconnected to the floodplain to allow seasonal flooding and create rich habitat. They built 38 ponds, some that include deep holes for overwintering fish and amphibians, and planted 30,000 willows and tens of thousands of other native plants. Heart Rock Ranch is now visited by 115 different species of birds, including eagles, harriers, ospreys, sandhill cranes, and nesting great blue herons. Pronghorn, moose, and elk share the property with the Hageys’ cattle herd, which is a tool for managing vegetation. Dayna Gross of The Nature Conservancy spent years managing the Silver Creek Preserve and helping neighbors restore streams. Conservation cattle. A short drive away, on Rock Creek Ranch, University of Idaho’s Wyatt Prescott believes the same thing—and he’s working hard to back it up with hard data. Prescott manages a study herd of 175 mother cows and 75 replacement heifers on the 10,400-acre property, which is owned by The Nature Conservancy and the Wood River Land Trust. While Cameron Packer oversees the restoration of the creeks, Prescott works the cattle—and works as a bridge between the ranching and conservation communities. Prescott answers his own question. The project’s mission is to find that balance, notes Packer. 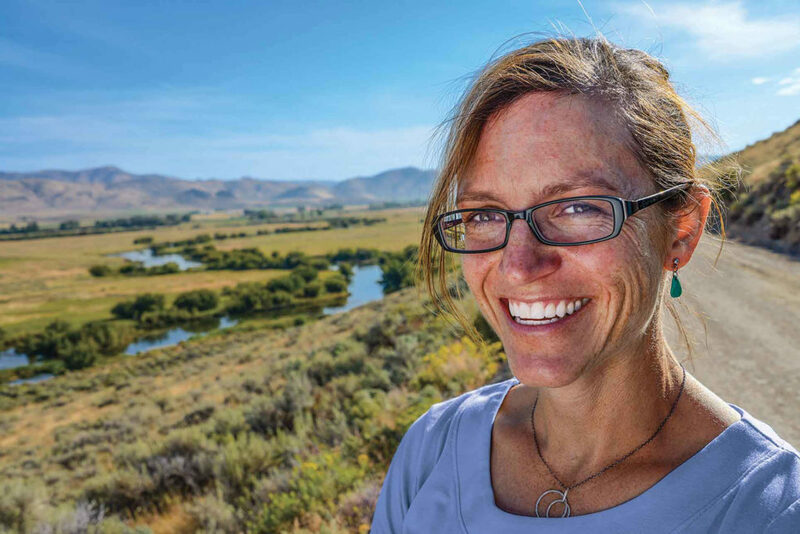 “We’re showing the local community that ranchers and recreation and wildlife can all coexist here, and finding a model that lets that happen,” she says.